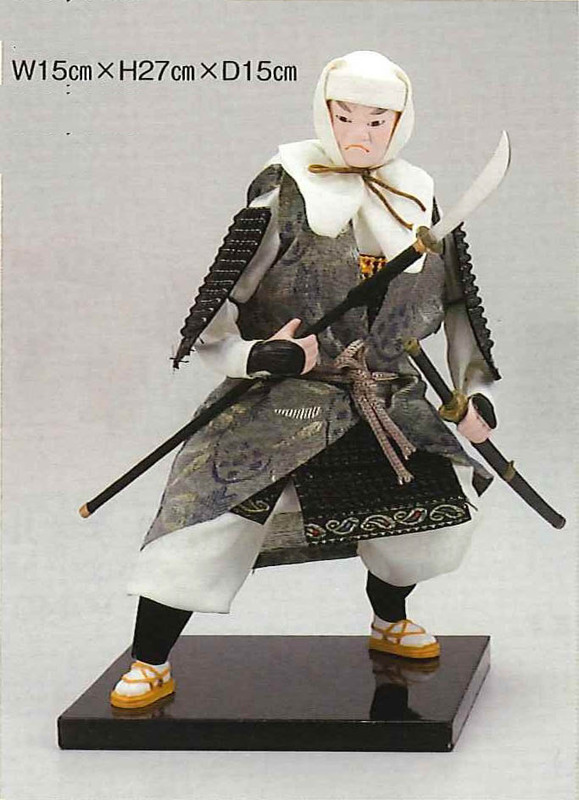 Figurine of Benkei, the last guardian Samurai of Yoshitsune, who was a younger brother (a half brother) of Yoritomo. 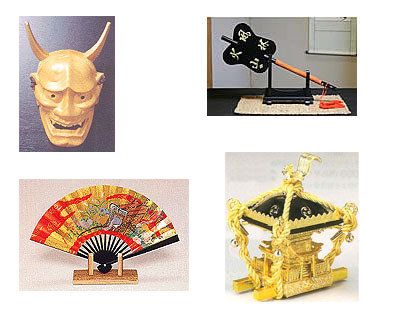 (Yoritomo is the head Samurai of Kamakura Bakufu, a kind of "first" Samurai).Yoshitsune was killed by Yoritomo at the end.One story says, because Yoritomo be afraid Yoshitsune's strength and enpowerement to the lower classed Bushi, Samurai. Benkei had guarded Yoshitsune during the last long journey which started when Yoritomo intend to kill Yoshitsune. At the last moment of Benkei, he was standing dyed, he tried to save the time after his death, to keep Yoshitsune far away from Yoritomo's. That moving scene become a famous Kabuki.